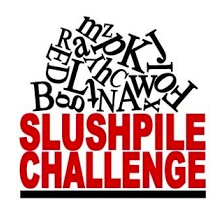 We are pleased to announce the April 2014 Slush Pile Challenge. This time the challenge has been set by Penny Holroyde. Penny Holroyde is a literary agent with the Caroline Sheldon Literary Agency. 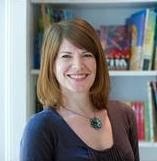 She began her publishing career dealing in foreign rights for Walker Books and then relocated to the USA where she worked as Director of Rights and Licensing for Candlewick Press in Massachusetts. She represents authors and illustrators from the well-seasoned to the debut and is always looking to add talent to her list. Can you write funny? I’d like to see the first chapter of a novel for any age group that really makes me LOL. No synopses are required for this challenge, the chapter needs to stand on its own two hilarious feet. Penny Holroyde will pick a winner and arrange to have a meeting with the winner by phone or in person for 30 minutes. You need to be a current SCBWI un-agented member, resident in the UK. Send in your entry (as Word Document) to competitions@britishscbwi.org by 4th May 2014. The word document should be only the first chapter as requested by Penny. Do not include your name, address or email address in the word document.